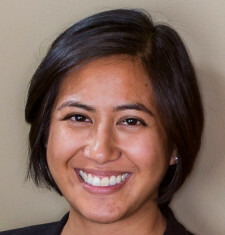 Jeannette Balleza Collins Terrapin Philanthropy | Growing Philanthropy. Honored as one of “Arkansas’ 50 Influentials” by Arkansas Business and “40 Under 40” by Northwest Arkansas Business Journal, Jeannette Balleza Collins holds a bachelor’s degree in English from Hendrix College and has over 15 years of experience in marketing strategy, public relations, social media, technical assistance and content development for small businesses, non-profits and corporate clients. She launched and served as Director of The ARK Challenge program, a mentorship-driven technology accelerator and full member of Global Accelerator Network, successfully accelerating 36 startup companies across four cohorts in three years. Collaborating with federal and state funders, private investors, Winrock International and University of Arkansas, she has been instrumental in building Northwest Arkansas’ reputation as a growing technology startup hub, raising capital for investment in early-stage technology companies, designing the accelerator program, recruiting companies worldwide and facilitating international mentorship events. As a consultant at Startup Junkie Consulting, she provided technical assistance to startups and small businesses, including mentorship, training and support around information technology, sales, venture finance, entrepreneurship, entrepreneurial ecosystem development, intellectual property, lean methodology, program and project management, counseling and social ventures. She owns Scribe Marketing, a company specializing in a creative, critical approach to marketing with an emphasis on content, and is a managing member of member-driven regional angel fund Tonic NWA Fund.